When my friends asked me how the K2S (Katraj to Sinhagad) trek was, I did not know what to say. It was great of course but I did not want to undermine the trek with words like good, great. Also, I found it hard to digest the fact that I chose to do this trek (Once you start, you don’t have an option. So it’s all about the decision to be a part of this trek) So, with the help of this blog, I will let it sink in that we did this night trek (very little moonlight and a lot of torch light) of 15-16 hills/mountains spanning 12 to 14 kilometers in 8 hours. Over the week, when Wanderers posted this event on facebook, I thought I have always wanted to do a night trek. 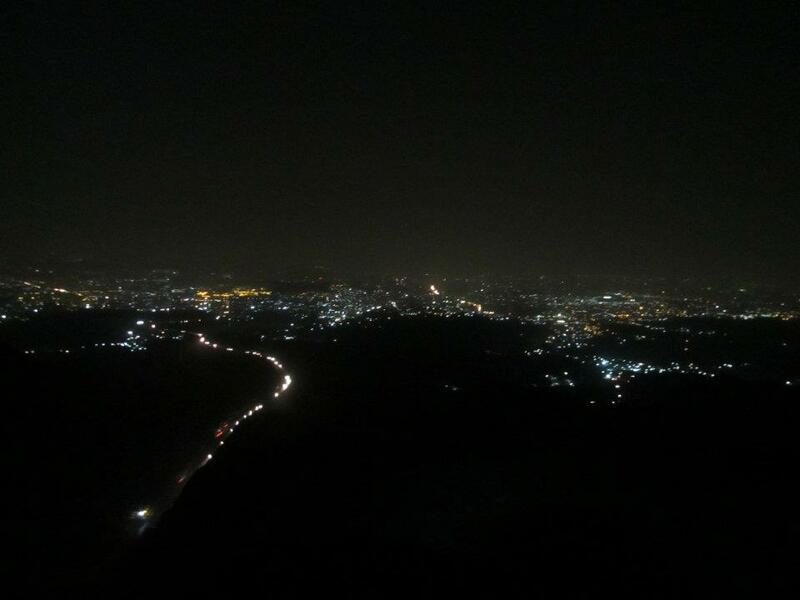 Bangaloreans boast of the night trek in Skandagiri (I wasn’t so much into trekking in Bangalore) and I always wondered what it’s like. 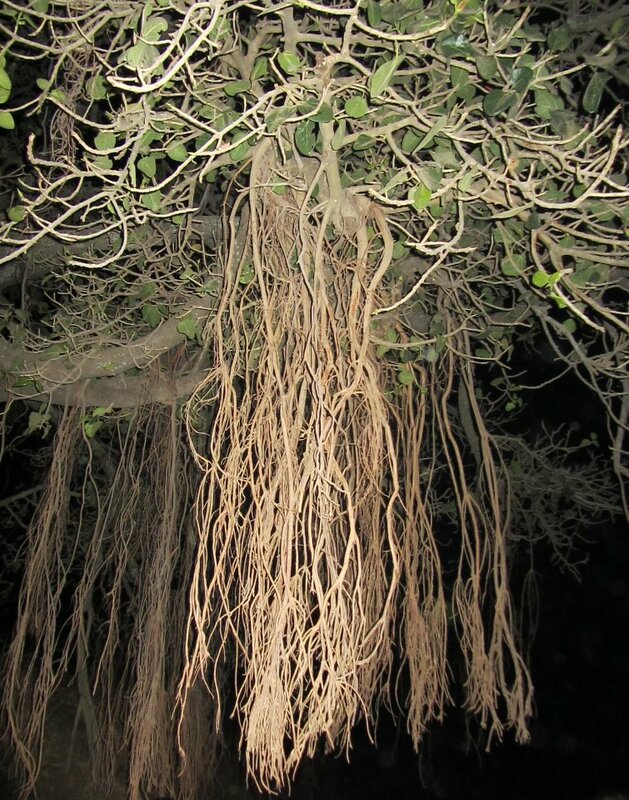 About 10 years back, I did this one night trek as a part of a jungle survival camp organized by our college but that was it. So, just the fact that it was a night trek was enough motivation for me to sign up. I was determined to do it even if none of my friends would join me. At one point I thought it would be just me with Wanderers. But they did come and I’m glad they did. So, Anshul, Zoheb, Apurva and I packed our bags with 4 lts of water, some snacks, dinner, and fruits and headed towards Rajiv Gandhi National Park, Katraj. We took a MSRTC bus to Katraj Tunnel (These buses scare me after the Santosh Mane episode) and trekked up to Waghjai temple where we introduced ourselves. A small flash back.. I was cleaning my kitchen over the week and I ended up getting a deep cut in my thumb and I had to go to the doctor to get a thick layer of dressing done to ensure I don’t hurt again. Back to the trek. So, while the rest of them were introducing themselves I was getting another round of aid as the previous one had come off. Some warm-up exercises and post a warm welcome to Mr. Rajput (A Marathon runner. Has done this route both ways in 6 hours and plans to run 160 kms in Thar Desert), we started the trek. 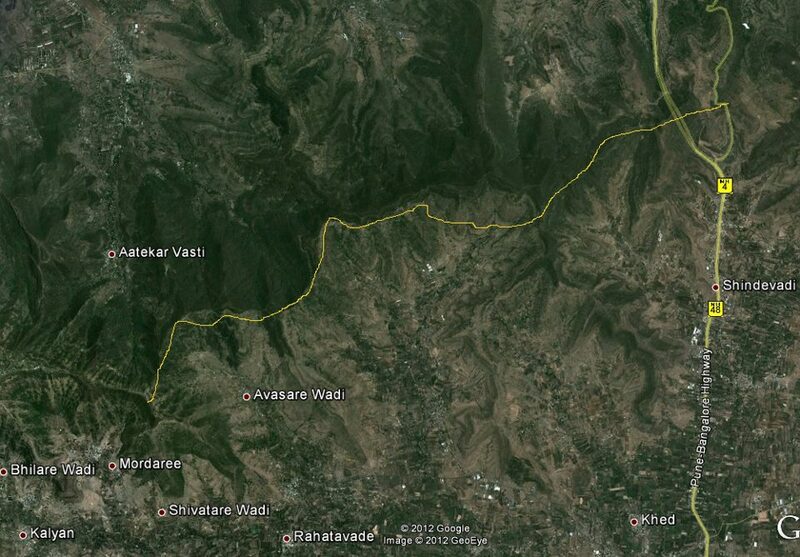 A little something about Katraj to Sinhagad range – If you look at these hills independently, you will think, that’s it? This isn’t anything, this is easy. And it is. Every hill trekked independently is a cake walk. But when you put them together and make it this mammoth K2S trek, it is something else altogether. At a far distance, throughout the trek, you can see a tower with a red light and you know that’s your endpoint (I cannot call it goal.. I wasn’t motivated enough to call it a goal). That’s where you get to stop walking and rest. That’s where you can board a vehicle which would ferry you home. Of course I did not think this way for the first 50% of the trek. So more on this thought later. They say the first 2 to 3 hills are difficult and the rest are not. I would say, the first 50% of the trek was great and the rest was well, a test of my patience (something I have very little of) Try and imagine this. There is this mountain range with 16 hills (Similar to the one we would draw as kids with the sun rising from the centre. But those would have 5 or 6 mountains max) Now imagine 35 people climbing and descending and repeating this action 16 times 🙂 (This blog is becoming comical for me :P) Now imagine a few of them (Read me) falling on the way 6 to 7 times and a few others (read my friends and I) sliding down instead of walking down the mountains because it’s too slippery and we have reached paranoia about falling again. Oh and imagine all this in the dark with 35 spots of torch light!!! Yes, the first 3 hills were huge. I sprained my ankle in the second hill (something that stayed with me through the trek) but the cool breeze and the fantastic view of city lights from the hills kept us charged. We broke for dinner at around 1AM on a plateau. It was a short break and we were back on our feet in about 20 minutes. By now we had finished 30% of the trek is what I understand. You notice the torch lights of your fellow trekkers on the hills in front of you some of them making it to the peak when you are still descending from the previous one. You also notice the torch lights of your fellow trekkers on top of the hill you just descended from and yes, the red light never leaves you!! At one point, you are thinking of how awesome (damn you Barney from How I Met your Mother.. I cannot get the word awesome out of my vocab) the trek is, how attractive the city looks, how calm the breeze is, how lucky you are to be away from the city heat, how brave you are for having chosen to do this trek. At another, you are thinking, the walk is so pleasant and soothing, wish you were with someone special, with the starry sky above you, a little bit of moonlight to guide you, enjoyable weather to encourage you! At one point you are climbing the mountain on your own, pushing yourself higher and higher. At another, you are holding a stanger’s hand who is helping you descend and ensuring you don’t fall. At one point you are thinking this isn’t difficult and a few moments later, it hits you that you have completed half the trek and you HAVE to complete the other half before the sun rises (Oh thank god for that) At one point, you run down the hills like there is no tomorrow. At another, you take well calculated steps. At one point, you stop to rest, drink some water. At another, well.. what else can you do but walk. This trek taught me to never undermine the intensity explained by avid trekkers. It taught me a LOT about patience. I learnt how to ask for help (I don’t usually while trekking), how to ask for company (when you realize you will be the only one for as far as you can see if this one person moves ahead). It taught me to judge my stamina, it taught me to train my mind, to fill my mind with positive thoughts, to make that red light my goal and not just look at it as the end point because if I don’t, I’d end up whining through-out the trek even though it’s not to others. I learnt a lot from other trekkers. How they are totally ok with trekking at your speed, how they are willing to go that extra mile(literally) to help others, how they know the right things to say to motivate you without making you feel less about yourself. 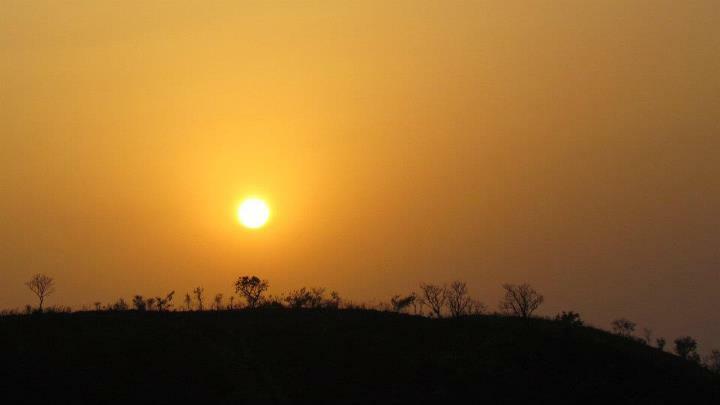 When we reached the last but one pit stop and saw the sun rising from behind the one tree point, I thought it was so worth it but that thought was clouded by the fact that the trek was still incomplete. We had to traverse through 2 more hills to reach the road. And so we walked some more, listening to a few localities singing their morning prayers (Maharashtrian Folk Music), talking to each other and hoping to reach the road. I slept for the next 12 hours with maybe a 2 hours break but today when I write the blog, I realize it was one hell of a trek! A special thanks to Amit and Aviraj who helped me through! Posted in TreksTagged Adventure, India, K2S, Katraj, Katraj to Sinhagad, Maharashtra, Marathon, Moonlight Trek, Mountains, Nature Trail, Night Trek, Pune, Sinhagad, Skandagiri, Thar Desert, Travel, Trek, Trek Groups Pune, Treks, Wanderers, Weekend Getaway, Western GhatsBookmark the permalink. really gud description of ur experience i mst say…coz even i ve taken part n k2s for 2 years n ur observations r jst the ones which i personally felt!! m determined t participate next year too!! Thanks. I am tempted to do it once more in the monsoon! I just did K2S. Besides map that you have given, can you provide elevation? I want to know of the next upcoming trek ok k2s. Will u please provide me with the information and your website. Hi, I wanted to know the date of next trek and schedule. Can you pls. provide the same? What a good description it is ! It inspired me allot, and off course i would like to enjoy this trek once for sure. Good way to put it !